Plot Synopsis: After a daring escape from the angels, Penryn and Raffe are on the run. They’re both desperate to find a doctor who can reverse the twisted changes inflicted by the angels on Raffe and Penryn’s sister. As they set off in search of answers, a startling revelation about Raffe’s past unleashes dark forces that threaten them all. When the angels release an apocalyptic nightmare onto humans, both sides are set on a path toward war. As unlikely alliances form and strategies shift, who will emerge victorious? Forced to pick sides in the fight for control of the earthly realm, Raffe and Penryn must choose: Their own kind, or each other? My thoughts: It's so hard to let go of this series. I first read Angelfall when it was a self-published book getting great reviews from the GR community, and I'm so glad I took a chance on a self-published novel because it introduced me to one of my favourite heroines of all time. That said, I wanted to take a bit of time and mull over my thoughts, because I was concerned that my love for this series and its protagonist would colour my review. Now that I have a hold of my emotions, I can say that I didn't love this book as much as I thought it would - there were some great parts, and there were some parts that didn't work so well. 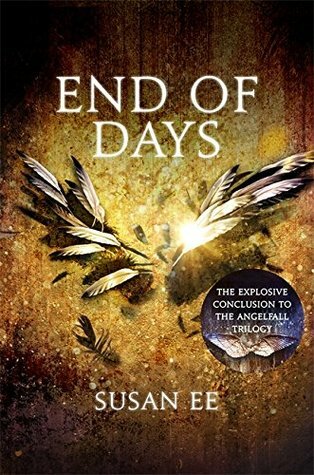 It's definitely not my favourite book in the series, so it makes me sad that Penryn & the End of Days didn't go out with the bang I thought it would. Like in the first two books, Ee manages to perfectly balance moving the plot along and great characterisation. In this book we get to see a bit more of Penryn's mum, who has a lot more to her than I thought. Despite being mentally ill, she's quite crafty and clever. She shows a lot of initiative, convincing both angels and humans to get on board with her plans, and continues to take on leadership roles in the fight against the angels. 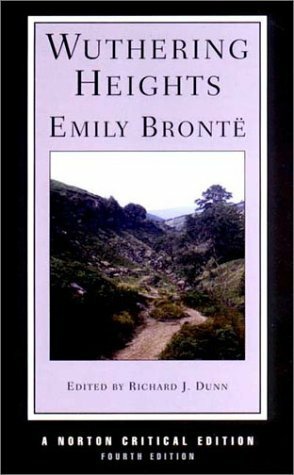 The Tweedles also make a reappearance, providing comic relief in a book that needs it - I would say that because we see Penryn at some of her lowest points in this book, it is slightly darker than the first two. I also enjoyed the addition of the Watchers - as an angel, Raffe is not a solitary creature, and it was a joy to watch him reunite with his team. It was interesting to see how Ee would be able to (realistically) keep Raffe and Penryn together, as they had so much standing between them. Unlike a lot of reviewers, I found some of the more romantic scenes to be clunky and awkward, and I couldn't tell if that was Penryn's experience - or lack thereof - coming through, or if it was the writing. The chemistry was there, but I found some of the other scenes - ones where they expose their vulnerabilities to one another; ones where they show how much they care for one another in other ways - to work a lot better. Penryn and Raffe are both warriors/fighters, so I preferred reading the scenes where they were able to fight together; working in harmony and showing complete trust in one another. Ee is a master at the action scenes - they are seamless, and keep you on the edge of your seat, wondering what will happen next. My only other complaint is how quickly everything wraps up after the epic showdown - but that is perhaps because I wanted just that little bit more time with these characters. While I'm sad that this trilogy is over, I know that Penryn and Raffe's story is one that I'll probably be rereading for years to come.